Coin collecting is a fun activity and it has been very popular because it does not only serve as a hobby but as an option to generate income. 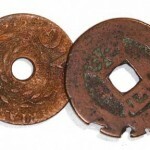 Probably the most popular types of coins that are sought by collectors are the antique coins. Antique coins may be bought from auction sales, coin shows, malls and even in tourist areas that have historical themes. 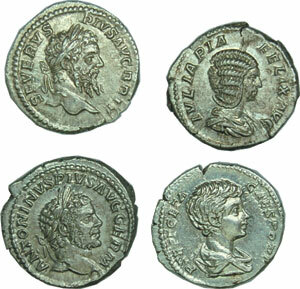 Antique coins are found to vary greatly in price depending on the age of the coin, its history and country or origin. 1. The buyer should make sure that the antique coin they are buying is a genuine one. There are many counterfeit coins sold in the market today and a buyer should thoroughly inspect any coin before buying it. 2. Coin collectors should collect the less expensive antique coins when beginning. The more expensive ones can be purchased once their collection becomes larger. 4. A professional coin appraiser should assess the value of the coin before you buy so that the real value of the coin will be correctly assessed. This will prevent buying a coin at an inflated price. 5. When choosing antique coins narrow down the collection of antique coins to those from a specific country or a specific era. This will make the search for collectable coins an easier task. 6. Care is always needed to preserve the value of coins. Antique coins should be given extra care in order to preserve their appearance as well as their value. A collector should be aware that antique coins do not require much cleaning as excessive cleaning will only depreciate their value. The older the antique coin looks the more expensive it becomes. Antique coins can provide so much entertainment for collectors that anyone might consider making it a hobby. Remember to be patient in searching for these coins since they may be available in limited numbers. You must have the passion for collecting to make antique coin collection a satisfying experience.